More and more women today are not only making it in the professional world, but are dominating the professional world. It is important that as they do this, they look good, too. 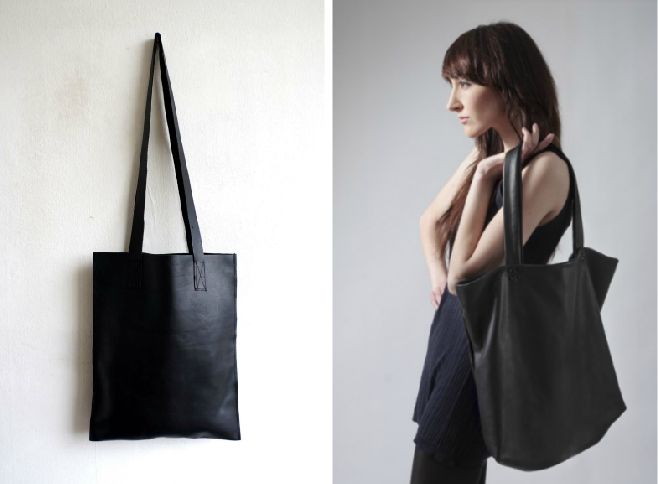 Women’s leather totes are stylish, in addition to providing function and convenience. The following will explain why women everywhere can benefit from having a leather tote as their work bag. Today, leather bags are made to be functional. While style is often important to women, it is not the deciding factor every time a woman buys a work tote. Leather totes are often functional as a work bag during the week and an overnight bag for the weekend business trip. They come with many different pockets and compartments that make it easy to store receipts, files, laptops, pens, a cell phone, and so much more. Some totes can be locked if they contain confidential information, and others have clasps that are easy to open for quick access. When a woman is looking for a new leather tote, she should test it out to be sure the handles are functional. She may enjoy an over-the-shoulder strap, or she may prefer to carry the bag in hand. While style is not the only important factor of women’s leather totes, it is still pretty important. With so many styles available, a woman won’t have to settle for something that does not speak to her style and her tastes. Some women may enjoy a very professional, briefcase type tote, and others may want something a little more relaxed and purse-like. Color might be something that is important to some women, and they may decide to match their tote to their other work clothes. They may also pick a color that is completely neutral. Style also plays a role in the amount of pockets one may choose to have in their tote. A woman may desire a lot of fun pockets and clasps, or she may want something more straight and clean. Another important aspect to look at when deciding what makes a leather tote a great option for the professional woman is convenience. Women are often known to carry around a lot, and could get burdened by everything if they didn’t have a tote to put it all in. Leather totes are convenient enough to use as a carry-on bag for a plane ride, and can often double as a laptop bag as well. With all of the options available, women can find a bag with just the right design so that they can keep their items organized and easy to access. They are convenient enough to toss into the back of a car, keep close on the train, and take from home to work every day. This allows the working woman to take care of business, no matter where she is at. When a woman wants function, style, and convenience in the work place, she can look at the large selection of women’s leather totes that are available on Ghurka.com. Not only can she find something that will allow her to be the most successful at work, but she can look good while she’s doing it.